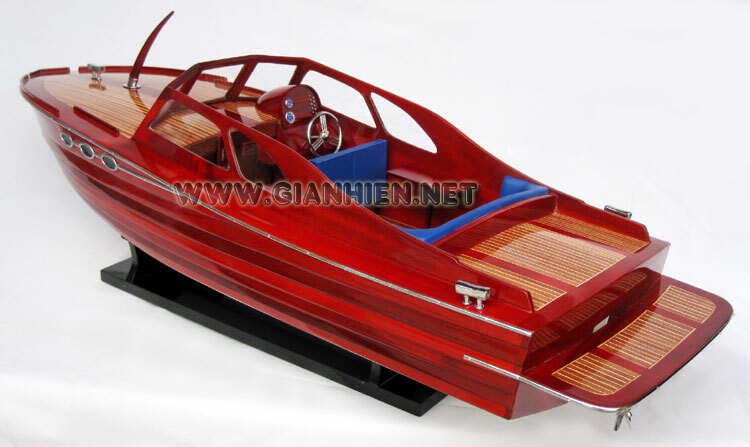 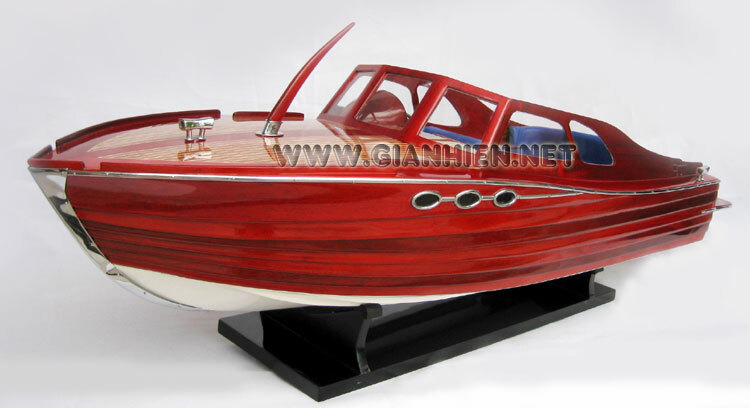 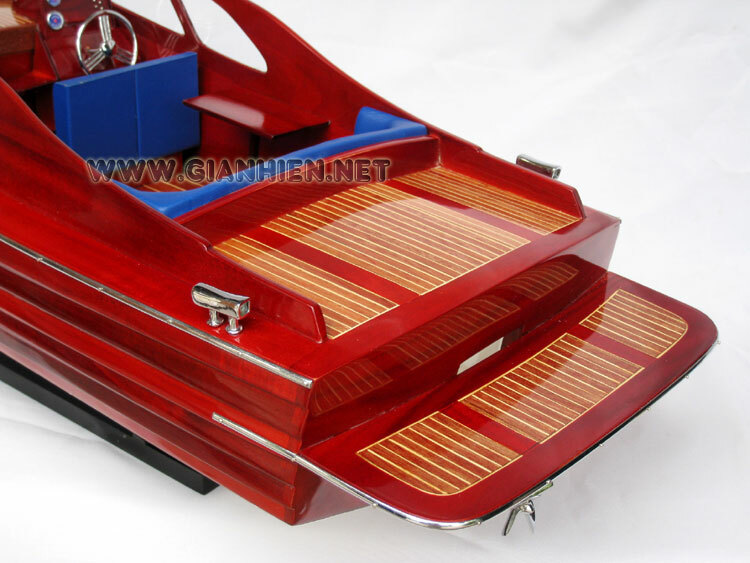 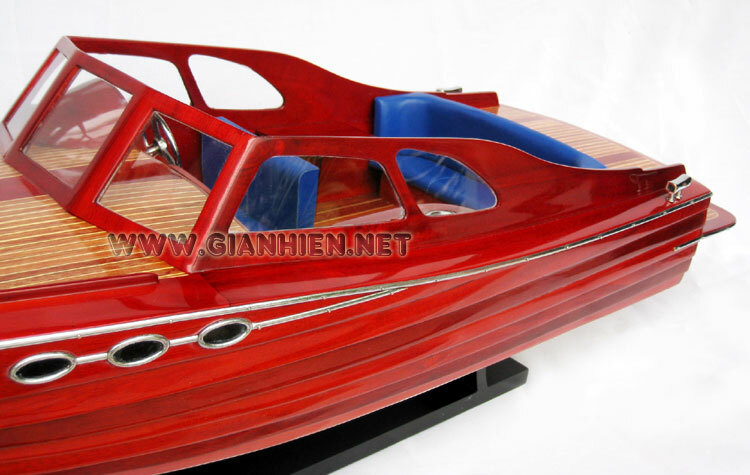 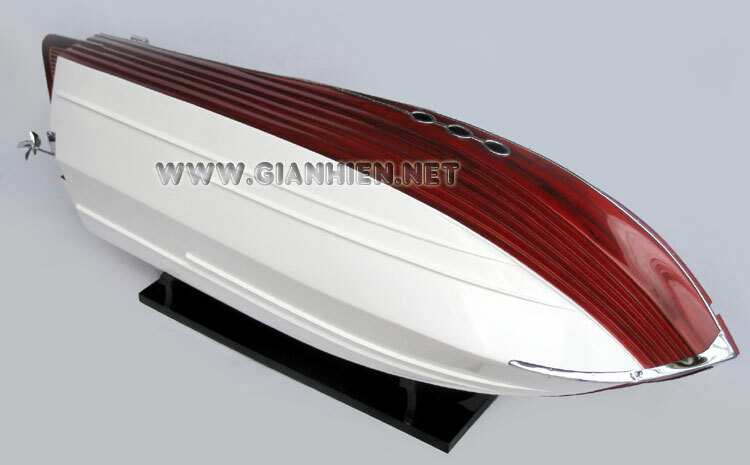 Model is hand-crafted from hard wood with planks on frame and has clinker built construction as the original real boat. 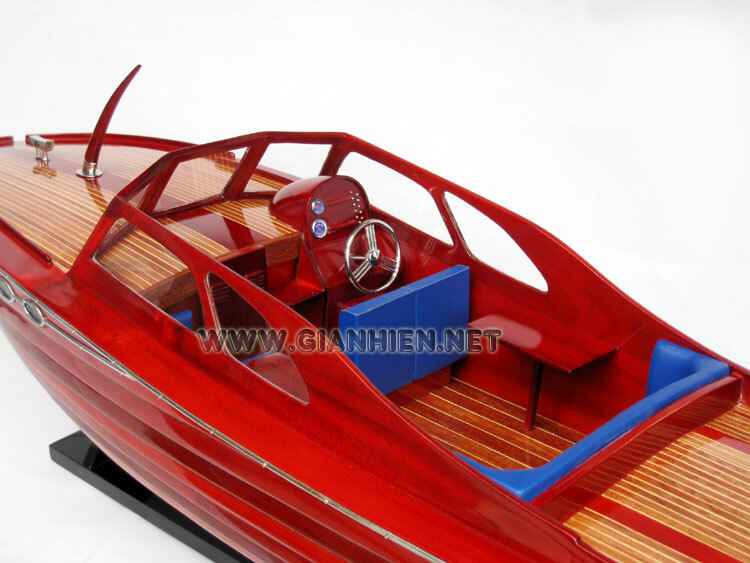 The metal fittings are brass chromed, the windshield are made from plexiglass. 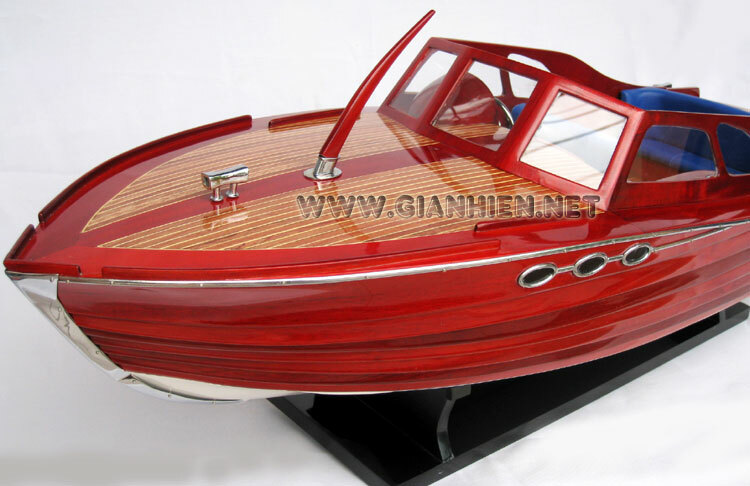 Our model is fully assembled and ready for display.